Hugh graduated from Melbourne Uni in 1990, after which he spent the first four years of his career working in a mixed animal practice in Bacchus Marsh. He then went on to work in the UK for twelve years before returning to Melbourne in 2006, where he took up position as Senior Vet at Vermont. Hugh enjoys all aspects of veterinary medicine and surgery, and has done further education in ultrasonography. He is particularly interested in echocardiography (ultrasound imaging of the heart), and we have a state-of-the-art ultrasound machine at Vermont to allow him to pursue this interest. Outside of work, Hugh loves tennis, horse racing, travel and wine tasting, as well as spending time with his two English Springer Spaniels, Billy and Lilly. Nicole graduated from the University of Melbourne with a Bachelor of Veterinary Science with honours in 1991 (one year after Hugh). Nicole's first vet job was at Pascoe Vale Veterinary Hospital, where she had worked as a kennel hand and veterinary nurse throughout her veterinary training. 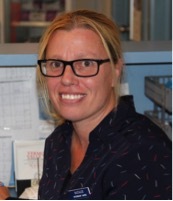 From 1992 to 2017 Nicole worked at Boronia Veterinary Clinic, then joined the team at Vermont Value Vet in May 2017. 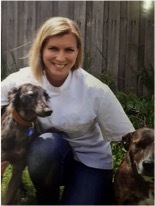 Nicole has undertaken extensive further education in behaviour medicine with Australia's leading veterinary behaviourists and brings this expertise to our clinic. In her spare time she enjoys spending time with her husband and teenage children, her Cavador Barney, Burmese cat Hugo, a hand reared goat and chickens. She enjoys travelling , cooking, fine dining, gardening and supporting the Bombers. 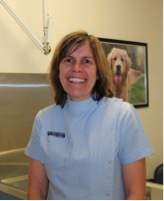 Karin graduated from the University of Melbourne in 1975 so brings plenty of experience to Vermont Value Vet. She has spent many years in small animal private practice, as well as doing welfare work at the Lort Smith, Lost Dog's home and Animal Aid. Her special interest in small animal surgery. She owns an Irish Wolfhound called Hagar, two cats (that boss the dog around), three rats and two fish. In her spare time she enjoys good food, good wine, going to the gym and quilting. Nicole graduated from the University of Liverpool Veterinary School (UK) in 2007. She worked in mixed equine and small animal practice in Derbyshire for two years before becoming solely a small animal vet. She spent another three years in general practice in Surrey, then two years in a dedicated emergency clinic. She has been at Vermont Value Vet since moving to Australia in 2014. Nicole loves treating dogs, cats and rabbits. Her special interests are internal medicine cases, caring for hospitalised patients and dealing with emergencies. Outside of work, Nicole is loving being a mum to her twin baby girls, Eloise and Phoebe, and to her two older “children,” Bella the Staffy and Rosie the Whippet, who are both rescue dogs she brought with her from the UK. Nadine is our senior nurse and is very experienced, with over 14 years of nursing to her name. She previously worked at the Lost Dog's Home and Lort Smith Animal Hospital before joining our nursing team at Vermont Value Vet. Nadine's main interest is surgical nursing. In her spare time she plays soccer and fosters cats and kittens. Nadine has three animals at home, two cats called Squeak and Sparkles, and a dog called Lucky. Steph is currently studying her Certificate of Veterinary Nursing. 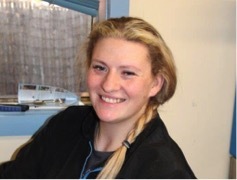 She started working with us in October 2018 after a five week placement here as part of her course. Steph has a poodle named Ester and a Shi-poo named Bookie. She also shares her sister's cats that are British Shorthairs and loves to foster kittens in her spare time. Natalie is studying her Certificate of Veterinary Nursing and is due to finish in 2019. She lives locally in Boronia and is kept busy by her two young sons (or three including her husband!). Her family spent 12 years in Ireland, where she worked at the world famous Coolmore Stud, so don't be surprised if you see Hugh chewing her ear off about horse breeding! 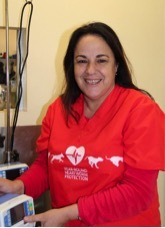 Robyn is a fully qualified Certificate IV Veterinary Nurse who joined our team in 2018.She has spent over 35 years nursing so brings plenty of experience to our hospital. Her particular interest is surgical nursing and nursing in hospital patients.In her spare time, she enjoys dining out, travelling and is an avid tennis player.Her family consists of a teenage son, 3 dogs named Pugsley, Lacey and Jax, 2 cockatiels (Lucky and Logic) and 2 goldfish. Susan has been grooming since 2006 and we were lucky to have her join Vermont Value Vet in June 2017. Previously, she has worked in busy salons and animal welfare shelters and so is experienced with all breeds, styles and personalities. When not working, Susan is kept busy by her 3 children, husband and her westie, Toby. 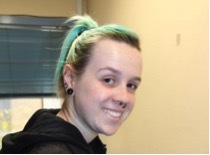 Kelly completed her certificate 3 in grooming at Box Hill Tafe in June 2017 and has continued grooming with Susan. She has a passion for all animals, but particularly dogs. When Kelly is not grooming, she hangs out with her two beloved 11 year old whippets and sees her friends. All our staff are experienced, knowledgeable and friendly. If you have any query regarding your pet please contact the surgery and we will be more than happy to assist.